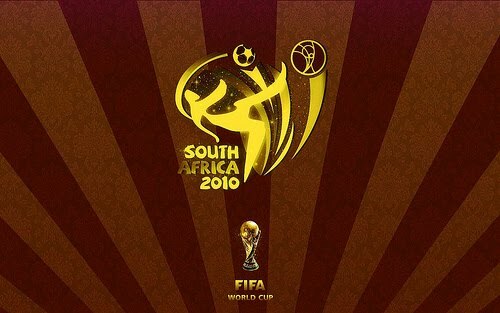 UMP | University of Minnesota Press Blog: How will South Africa subsist in the public's memory now that the World Cup is over? How will South Africa subsist in the public's memory now that the World Cup is over? Today's post is an open letter to the editor from John Peffer, founding editor of Critical Interventions: Journal of African Art History and Visual Culture, which began publication in 2007. He teaches at Ramapo College in New Jersey. He is author of Art and the End of Apartheid. 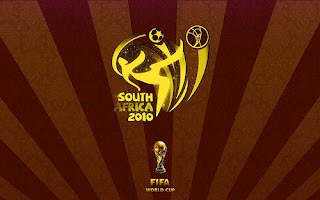 Thank you for asking me to participate in a blog on the subject of art in South Africa during the 2010 FIFA World Cup. My sense is that, to be honest, the World Cup has had little or no impact on the arts aside from a few highly commercial ventures that are not very representative of the tougher issues Africa’s modern artists are addressing today or have addressed since mid-century. As I discuss in my book, artists were in the forefront of the antiapartheid struggle during the toughest most violent years of the revolution. I show how modern artists created liberated zones (what I term “grey areas”) through the hybrid forms of their works, and how through their social lives, too, they crossed the racial lines and resisted the authoritarianism otherwise characteristic of the apartheid years. Not content to just mirror their society, artists envisioned (and in some ways enacted) a different future, nonracial and democratic, even before the official end of apartheid in the early 1990s. Artists, certain “avant garde” ones, still play that visionary kind of role in South Africa today and they continue to insist on a higher form of civilization. The trenchant issues have shifted now, though, to new forms of racial resentment, frustratingly tenacious class inequity, and sadly even a murderous xenophobia against South Africa’s own African neighbors. But I should withhold fuller comments until I’ve seen with my own eyes whether FIFA has meant more for the state of culture than all the talk we have heard here of vuvuzelas, parties, and canned trips to giant zoos and game parks. That said, I do not think we have heard enough in our own media about the wanton expenditure of national treasure it took to build the stadia for use during a few short weeks in 2010. Or, except in passing, of the potential long-term effects of this. By August, I predict, it will be a different story. After the visitors (who are not really that interested in the country past a certain entertainment-utility function, are they?) have gone, if South Africa is even heard about again in the American media it will be more along the lines of the South African poor asking, “What did we get out of this after all?” And of widespread dissatisfaction with corruption in government. So let’s just say that the premature triumphal blasts of the vuvuzelas that have been heard around the world are making the global FIFA audience deaf. Deaf to the triumphs of recent history, and deaf to the escalating crisis of poverty in South Africa. Nelson Mandela on his 90th birthday in 2008 joined those who had begun to claim that social inequity is the new apartheid, saying, "Where there is poverty and sickness, including AIDS, where human beings are being oppressed, there is more work to be done. Our work is for freedom for all." Today that gap between rich and poor (and between blacks’ and whites’ different abilities to access security) is even larger than it was in 1994 on the eve of democracy. I have heard too little of this in the American media coverage of the FIFA games. I am not even sure if most soccer fans are even aware of (or care about?) the culture and history of the fine country they are visiting (or watching). It is thus no surprise to find that the kind of art keyed to spectacles like these hardly scratches the surface. For those who want to see what is actually being accomplished in the South African art scene today, I recommend reading the magazines Chimurenga, Art South Africa, and the wonderful online art resource Artthrob. Also of interest, though art is not its focus: Yoruba Richen’s recent PBS documentary “Promised Land” begins to unweave the contradictions and sorrows surrounding the rural landless poor and their fight for restitution of farm land. I’ll be in a better position to comment on the state of art and culture in South Africa after I return from my trip there at the end of August, that is, after the games are over and all the tourists have gone off with their plastic horns. If the World Cup has had a significant impact on art then it will still be apparent after the event was over. The FIFA World Cup elected to accompany this year's monumental event with a major official licensed art project (for the 2nd time in the event's history). We asked Mr. Peffer for comment. What is significant about the decision to undertake this project? Do you have a favorite poster? Kendell Geers. I like that he said “yes” and yet he is kind of in your face about the crassness of the whole project. His poster is “Free Balling” (but an earlier version was titled “Dirty Balls”). Hassan Musa, too. I like how he depicts the event as the struggle between Africa and the rest of the world in the guise of Jacob wrestling the angel. Alas, other favorite artists of mine like Julie Mehretu and Marlene Dumas did not submit their strongest work. Posters were very important vehicles for messaging during the antiapartheid movement, but the FIFA poster context is a bit limiting in terms of possibilities for radical expression. Find out more about Art and the End of Apartheid by John Peffer.